Roberts Oxygen Company, Inc. has elected Will Roberts as president effective February 1, 2019. Will succeeds his father, Bob Roberts, and his grandfather, Bill Roberts, as the third-generation president of the family-owned company in its 53-year history. Bob Roberts retains the dual role of chairman and chief executive officer of Roberts Oxygen. Will graduated from Cornell University in 2006 with a B.S. in computer science. He joined Raytheon Solipsys as a software engineer in 2006 where he worked on geographic information systems for commercial and military customers. In 2009, he co-founded WonderProxy, an internet company that helps companies do localization testing of their websites. He joined Roberts Oxygen in 2012 and began his training in all operations of the company. He was appointed as the corporate vice president in August 2015. Acme Cryogenics, Inc. Acquires Cryogenic Experts, Inc.
Acme Cryogenics, Inc. has announced the acquisition of Cryogenic Experts, Inc. (CEXI). Located in Southern California, CEXI designs, engineers, manufactures and installs a full line of vaporizers and accessories for all types of cryogenic and non-cryogenic specialty fluids. Air Liquide has announced that Airgas has signed a definitive agreement to acquire Tech Air. Founded in 1935, Tech Air is headquartered in Danbury, Connecticut and serves more than 45,000 customers at 50 locations. Airgas serves more than 1 million customers at over 1,400 locations. According to Airgas, this acquisition will continue to further strengthen its distribution network, enabling more proximity to local customers. Leveraging Air Liquide’s integrated model, the acquisition is expected to deliver significant efficiencies. Moreover, customers will benefit from an expanded offering as well as a wider distribution network and a leading digital platform. 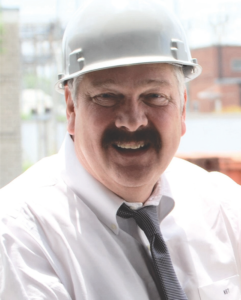 Jerry Yarger has been promoted to area general manager, Ohio. Greg Byer has been promoted to area general manager, North. Ty Guernsey has been promoted to area general manager, South. 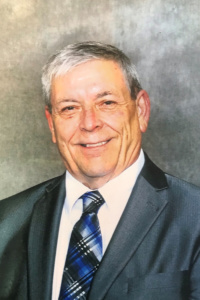 Ken Tidwell, senior vice president and national program director of The Horton Group, has announced that he will be retiring this year. Tidwell founded Horton’s welding practice and has been serving the industry for over 30 years. “I have loved working with NWSA/GAWDA,” Tidwell said. Tidwell’s wife Margaret Tidwell, client manager at The Horton Group, also expects to retire this year. The Compressed Gas Association (CGA) has announced that Sarah Saunders has assumed the newly created role of director of marketing and communications at the trade association. As a long-time independent marketing and communications consultant, Saunders has worked extensively with trade associations and other nonprofits in business, high tech, financial services and environmental conservation. 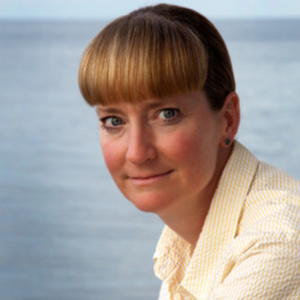 In the late 2000s, she led science communications for one of the world’s largest international marine research programs. In addition, she has more than 20 years of experience in private sector sales and marketing. Saunders holds an M.B.A. from Georgetown University, and a B.A. in English and a B.F.A. in theater from Southern Methodist University. She lives in Vienna, VA.
Norris Cylinder Company has announced a new addition to their growing sales team. 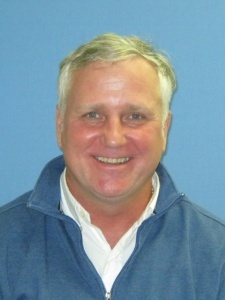 Jim Hayden has joined the Norris family as the new specialty sales manager. With more than 20 years of compressed gas industry experience, Hayden has worked with industry leaders such as Airgas and Air Products. 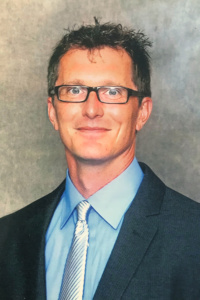 For 10 years, Hayden worked for Airgas in Northern California and Nevada in various roles in distribution/logistics, sales and customer service, servicing a wide range of markets including petrochemical, pharmaceutical and aerospace. 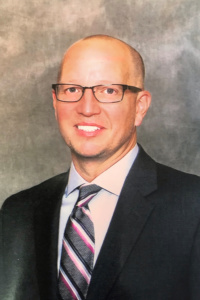 In addition, Hayden spent nine years with Airgas as the DLA regional program manager within the Outlook Services Supply Chain Solutions group. Prior to that position, he served eight years in the United States Marine Corp in the aviation field. Thomas Kenneth “T.K.” Slaughter, age 54 of Charleston, Illinois passed away at 9:51 A.M., Friday, October 12, 2018 at Sarah Bush Lincoln Health Center in Mattoon, Illinois surrounded by family. T.K. was born on January 31, 1964 in Bloomington, Illinois, the son of the late John T. and Linda L. (Gano) Slaughter. He is survived by his two children; one daughter Sarah Slaughter of Oak Creek, Colorado, one son Matthew Slaughter-Katz and wife Keziah of Cambridge, Massachusetts; one brother, Patrick Slaughter and wife Jane of Charleston, Illinois; one niece, Jenna Slaughter and two nephews, Levi and Frank Slaughter, all of Charleston, Illinois; numerous aunts and uncles, and his beloved dog, Bella. T.K. 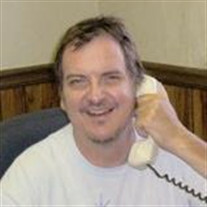 was co-owner and operator at Gano Welding Supplies in Charleston, Illinois. In his younger years, he played the cornet and tuba in the high school band, which lead to his love for music. With his inquisitive nature and interest in science, T.K. wanted to know how all things worked. He was outgoing, friendly and enjoyed good conversation; if he ever met a stranger, they were not one for long. He will be missed. Memorials in his honor may be made to American Diabetes Association, P.O. Box 15829, Arlington, VA 22215 or Coles County Animal Shelter, 6818 N. Co. Rd 1120 E, Charleston, IL 61920. Please visit www.mitchell-jerdan.com to share a memory with the family.